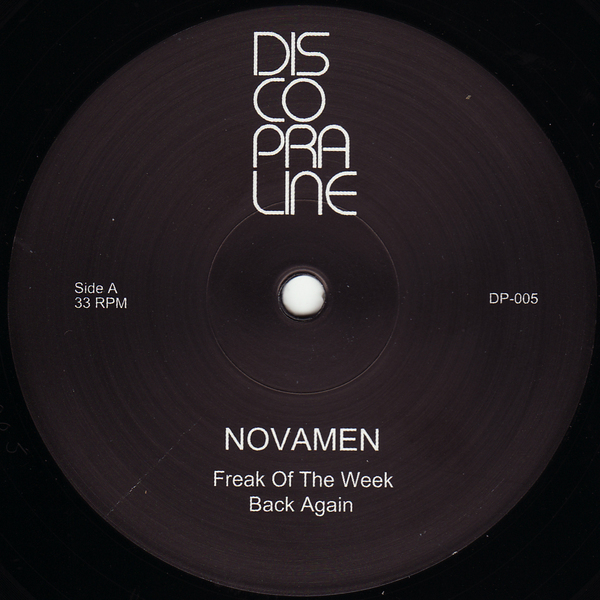 Novamen aka Hague legends Mr Pauli and DJ Overdose follow their rare classics on Murder Capital and and Bunker with five tracks of slamming West Coast style electro. The title track makes heavy nods to the 808 driven Detroit styles of Aux 88, but the moody synth melodies of 'Back Again' could really only come from a pair of North European operators. 'So Fantastic' pays dues to The Egyptian Lover and the harrowing darkside trip of 'Kapotte Kachel' should only be ingested by those who know what they're getting into. Big with I-F and DJ Stingray!